January 22, 2019 3:26 pm. 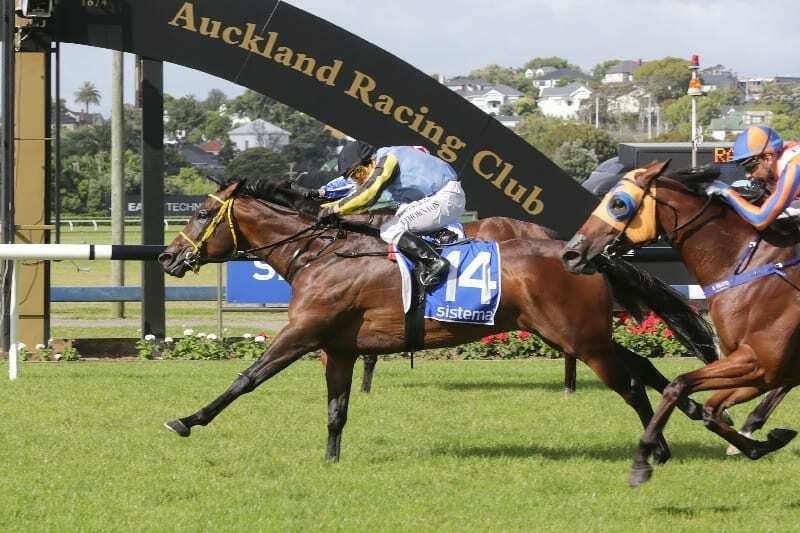 Te Awamutu trainer Stephen Ralph scored the biggest result of his career at Ellerslie on New Year’s Day when Santa Monica took out the Group 1 Railway (1200m) and he believes his mare has improved since that run. The five-year-old daughter of Per Incanto will contest the Group 3 Preferment @ Brighthill Farm Concorde Handicap (1200m) at Ellerslie on Saturday and he is expecting more of the same from his stable star. “She has been extremely well, if anything she has definitely improved,” Ralph said. While optimistic heading into Saturday’s contest, Ralph said Santa Monica has continued to put on weight over the summer period and he hopes she hasn’t put on too much condition ahead of Saturday’s contest. “The problem that we do have is hopefully she hasn’t improved too much in condition. Her weight is just climbing all the time,” Ralph said. “We have given her the work, but those scales have continued to go up. “She was 512kg on Boxing Day (when runner-up in the Listed Hallmark Stud Handicap (1200m)), then 516kg on New Year’s Day, she had a gallop in-between because she was doing so well and still put on four kilos in those six days. Now she has jumped to 522kg. Ralph said Santa Monica had been knocking on the door for some time before her breakthrough win at elite level and he is hoping she can continue her winning ways on Saturday despite being hampered with more weight. “If we can just get a run like we did last time then we will be happy. It was our turn last time, but she has had trouble getting decent runs in some of her races, but that comes with the territory of being a back-runner, but it worked out for us the other day. “She is absolutely jumping out of her skin and we expect another good showing from her. If all goes to plan on Saturday, Santa Monica will be aimed at the Group 1 Newmarket Handicap (1200m) at Flemington on March 9. “She has got a nomination for the Newmarket at Flemington in March, so that is where she will end up,” Ralph said. “We know she has really improved, so we want to see her win if possible on Saturday so we can carry on towards the Newmarket.